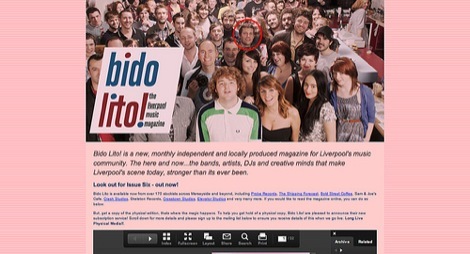 This weekend sees the official launch of Liverpool music magazine, Bido Lito! 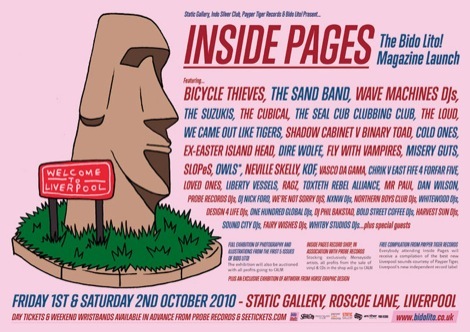 They’re celebrating with a two-dayer festival called Inside Pages at Static Gallery featuring much that is good about our vibrant scene. Getintothis caught up with editor Craig G Pennington to find out what’s on, what’s in and what’s around the corner. Getintothis: Hey Craig, how’s tricks? Bido Lito! is five, tell us about the publication and how you started out, who is Bido Lito!? CP: Hey Peter, all is cool here, just tying up all the loose ends ahead of the weekend – I’m covered in mdf dust and spray mount glue at the moment, getting our exhibition ready – its messy work! Bido Lito! – well, it started out as just an idea really, a bit of a bar room dream, but it seems to have blossomed. I came back to Liverpool in December last year after working away from the city for a few years. When I was away I saw how important local independent music media was to the city’s fledgling scene. I ran a small label and studio in Leeds and Sheffield when the whole ‘New York-shire’ thing kicked off – remember that! – and magazines such as Sandman, Vibrations & Shut gave all those bands their first coverage, they provided a cog and a hub to the regional scene. It’s a really important role, and I thought Liverpool really, really needed it. So, that’s where it came from. And who is Bido Lito! – she’s a collection of talented souls, spreading the virtue of a community of talented souls! Getintothis: Your first major event – Inside Pages – kicks off this weekend (see main image top of page) – tell us a bit about that, what we can expect and who you’re most excited to see & hear? CP: We always planned to hold a launch event, but wanted to get the publication out there first, so we had something tangible to celebrate. We started off by asking a few of our favourite bands and it’s just snowballed into this two day festival and exhibition, featuring almost all the city’s best new groups. It’s been really helpful having Sam (Aston) & (Christopher) Tyler involved from Indo Silver Club also. I love Owls*, which I think came through in my piece in Issue 5, and I’ve not seen them outside their rehearsal room yet, so I’m buzzing about that. But I’m equally as excited to catch The SCCC who’ve got a new LP ready to go and Cold Ones who’ve just returned from a Portuguese tour. 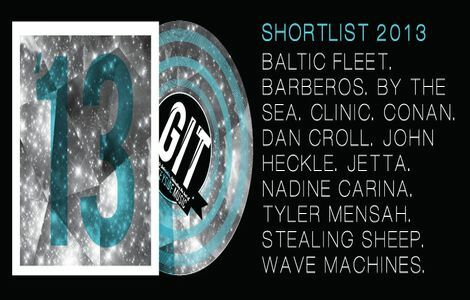 The Cubical, The Loud, Bicycle Thieves, Dire Wolfe, Vasco Da Gama are all big favourites, but we genuinely only asked bands we’re into – so the line up is cool as – there’s not a rotten apple in sight! Getintothis: It’s been quiet sometime since there’s been a physical music zine as consistent as yours, but if there’s a criticism, Bido Lito! does seem to almost exclusively champion Liverpool bands rather than offer any critical balance. Would you say there’s simply so much good stuff around there’s little room for the bad, or is this comment unfair? CP: Well, there’s been a few bands who’ve received a little ‘heavy, constructive help’ in our reviews section who I’m not sure would agree with that! I think within our reviews section, critical balance is certainly at the forefront of what we provide. To be honest, we’re not here to gratify our egos by sitting, perched on our throne, decreeing our gospel about what’s artistically delightful/degrading. There’s plenty of publications and websites out there for that – we prefer to concentrate on whats good – especially within our features – and we’re lucky enough that in Merseyside, there’s plenty of it. We won’t feature bands when there isn’t a member of our team who are really, really into them. I trust the opinions, views and taste of our contributors, as Bido Lito! is a sum of opinions, not that of one individual – the magazine is bigger than any individual’s perspective. And, if we’re still going to be here in five years, with weight, credibility and purpose, that’s the way its got to be. 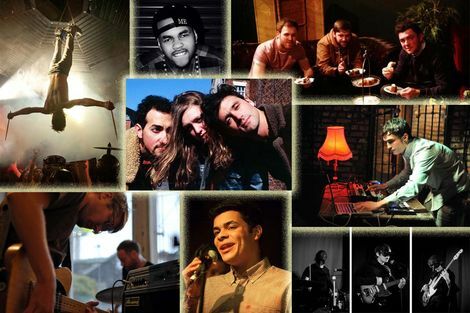 Getintothis: There’s so much going well within Liverpool, not just the music scene, but all creative spheres, what would you like to see us improve upon. What are we missing? CP: I think creatively, the city is booming at the moment. The Biennial provides another timely example. We run the magazine out of Static Gallery and the art/architecture community is completely vibrant right now, we see it in action on a day to day basis. I still think Liverpool, in terms of music venues, misses four or five pub back rooms, with an in-house PA and parcans, where you can put on a 100 capacity show for ÃÂ£60. I think that’d help out promoters who want to take a risk on a gig, but can’t stomach the potential losses on the overheads associated with a 200-400 capacity venue. It’d be great to see more of those, it just makes the independent promoting within the city much more vibrant and eclectic – though I do think there’s some great new spaces being used for shows at the moment – we’re getting there! Getintothis: In an age where the fanzine is a dwindling medium you seem to be bucking the trend, what advice would you give to those keen to start out? CP: Like anything really, make sure that its creatively exciting and interesting. But, the joy of fanzine’s is that they are by fans, for fans – so they can be as opinionated and as diverse as people want them to be. I suppose Bido Lito! has a wider kind of raison d’etre for the city as a whole, so it can’t turn into a single individual’s rant, though I’d say it probably does turn into a collection of rants in parts! If you have fun with it – it’ll come through. Getintothis: Name a band each which are wildly under-rated/over-rated. CP: Criminally under-rated – Clinic. Critically over-rated – Dirty Projectors. Getintothis: Which writers/publications inspire you? 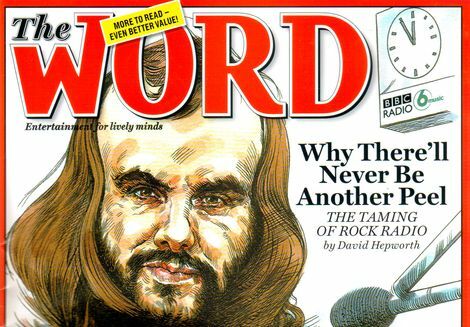 What do you think of the current state of the music press both in print and online? CP: I love ‘sup – that was a major inspiration for the magazine and I think Pitchfork is pretty much consistently on the ball critically with their record reviews – I enjoy their perspective as an American website on British bands. In terms of writers, Lester Bangs and Hunter S Thompson are the godfathers. The End – that was a big inspiration creatively. I love football fanzines, When Skies Are Grey and Boss are really great. Stuart Berman at Pitchfork is really good, as are the house guys at Stool Pigeon, which was another big inspiration. But, the now defunct Sandman Magazine in Yorkshire was the blueprint for Bido Lito! – eternal debt lies with those guys. 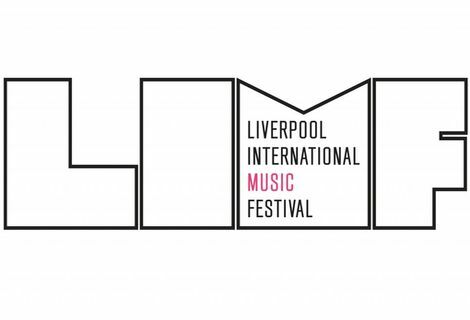 Getintothis: Liverpool Sound City, Liverpool Music Week and Creamfields have all been nominated for the recently-announced UK Festival Awards – and what are your thoughts on Liverpool’s various big music enterprises? CP: We’re lucky to have them and they do a great job on a national level for the city. Let’s remember, Liverpool, as a district, has the same population as Bradford and Cornwall. But, we sell dreams to the world. Those enterprises are run by good people. Let’s celebrate the fact that Liverpool’s ‘cultural package’ is sold nationally by organisations other than the council, thats important. Getintothis: Your hosting your own celebrity dinner party – dead or alive, fact or fiction – name five guests to invite to your gaff for tea. Pink Floyd: Interstellar Overdrive live, London 1966. Getintothis: My shithot Liverpool tip is Forest Swords, he’s coming to a stage near you soon. Who do you think we should keep an ear out for? CP: Owls*, The Loud and The Wild Eyes. Getintothis: You’ve a guest to the city, where do you take them by day, to eat and for a night on the tiles? CP: I’m a rubbish tour guide. But, breakfast in Sam & Joe’s Cafe, a wander round the shops on Bold Street, especially Hairys, Ran and Red Lotus followed by a late morning record buying in Probe. Lunch at Bold Street Coffee, a stroll down to the waterfront, a look round the Tate. An afternoon pint on the dock folowed by dinner in Salt House Tappas swiftly followed by a few pints in the Shipping Forecast, The Jac, Fly In The Loaf, The Philharmonic, The Everyman – then a gig. Actually, that sounds like quite a good day! You free monday?! Getintothis: No, I’m exhausted, just listening. Getintothis: Now, correct me if I’m wrong but as a football fan, is Bido Lito! printed on the pink paper as a homage to the old Football Echo – fondly known as ‘The Pink’? Where do your loyalties lie? CP: Yep – good spot. I’ve got a season ticket at Tranmere, so I’m not quite sure if that makes me a football fan! I loved the pink, and wrote a piece for TNBC Fanzine on it recently. ‘Sup also published a pink edition when I was at SXSW a couple of years back and it was lovely – it’s pink all the way! Getintothis: If you could edit any publication, what would it be and who would be your first cover-star? Getintothis: No cheating, what was the first record you bought? CP: Oh god… Perfecto All Stars – with all the skeletons playing trumpets – was an early one. Oh dear. I was also a big Ace Of Base fan – I was 10, like! The first tape (remember them?!) I bought was Oasis – so I was fairly quick at seeing the light. Getintothis: This is the end of the interview, good luck with the first Inside Pages. Anything else to declare? CP: Thanks loads, its been fun! I’ve nothing to declare… honest. The Bido Lito! launch is at Static Gallery on Friday October 1-Saturday October 2. For full details of line-up, exhibitions and coffee-shop sets prior to the event, see here.